Patricia Ann Breland obituary. Carnes Funeral Home. Patricia Ann Breland, 76, passed away on September 30, 2017 surrounded by her family in Friendswood, Texas. She was born September 10, 1941 in Avondale, Texas. Ralph Breland, her husband of 48 years was the love of her life. Together, they raised their family, established Breland’s Pest Control, participated in many community activities, including Rotary, children’s sports and school activities, local politics and were faithful members of Arcadia First Baptist Church. Patricia loved to participate in whatever was happening. She loved dressing up and being the life of the party. Laughter, jokes, and spending quality time with family and friends defined her. She loved the Lord Jesus Christ with all her heart. She is preceded in death by her parents and husband, Ralph Earl Breland. 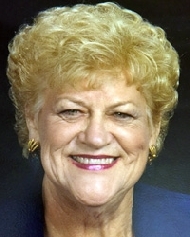 Patricia is survived by her daughter, Roxanne Fowles and husband Richard; daughter Tracy Macey; son Russell Breland and wife Katie; son Steve Breland and wife Tracie; brother Royce Lynn McGill, sisters Jo Daily and Geri Fregia, and numerous grandchildren, Christopher Fowles and wife Kristin, Justin Fowles, Steven Breland and wife Amy, Blake Christensen, Chelsie Jenkins and husband James, Wesley Breland, Ashley Breland, Brittany Breland; great grandchildren and lifelong friends. Pallbearers are Christopher Fowles, Justin Fowles, Steven Breland, Blake Christensen, Wesley Breland, and Cody Thomas. Visitation will begin at 6 pm on Tuesday, October 3rd at the Carnes Funeral Home, Texas City. Funeral Services will be 10 am Wednesday, October 4th at Arcadia First Baptist Church of Santa Fe, 14828 Hwy. 6, Santa Fe 77517 with Committal Services to follow at Galveston Memorial Park in Hitchcock, Texas.